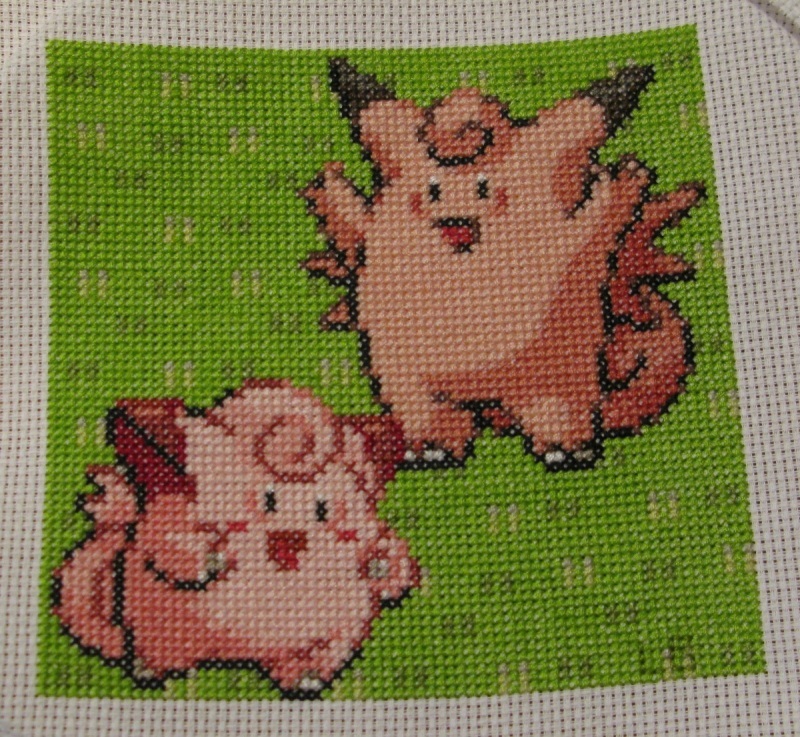 …since we had any progress to post! Truth is, things have slowed down a lot in the project. Life happened to people, and the holidays are coming up too. So, we’re taking a small break until January, when we will regroup and review our plans together, and hopefully pick up where we left off! 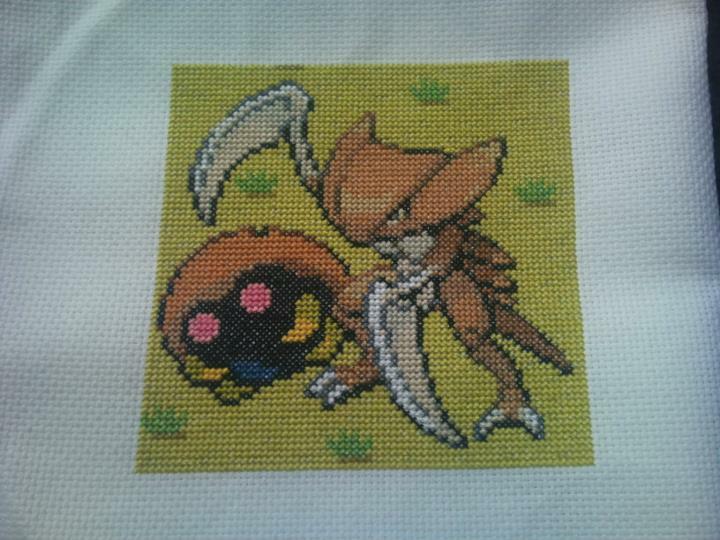 It’s been a while since there was something to post, but thanks to HeathyChan we have this! Things at the Gym have kinda slowed down. People have been forced to pull out for various reasons – real life commitments and so on. The rest of us are determined to crack on and will do our best to do so! If there’s anyone who’d like to help, do please get in touch with us! Email us at patchworkgym@hotmail.co.uk or visit us at the project forums for more information! 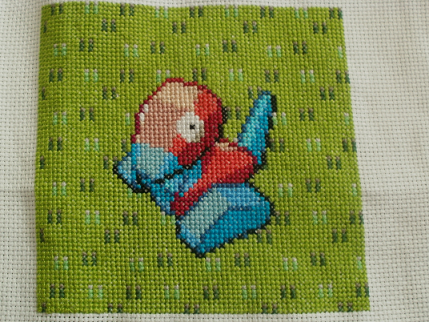 HeathyChan completed another patch this week – Porygon! 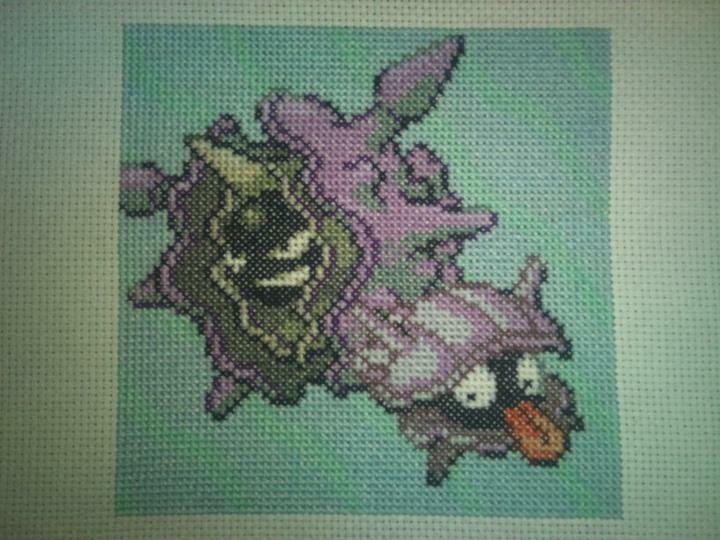 Craftymaster90 and Yurtle recently completed these two latest patches! 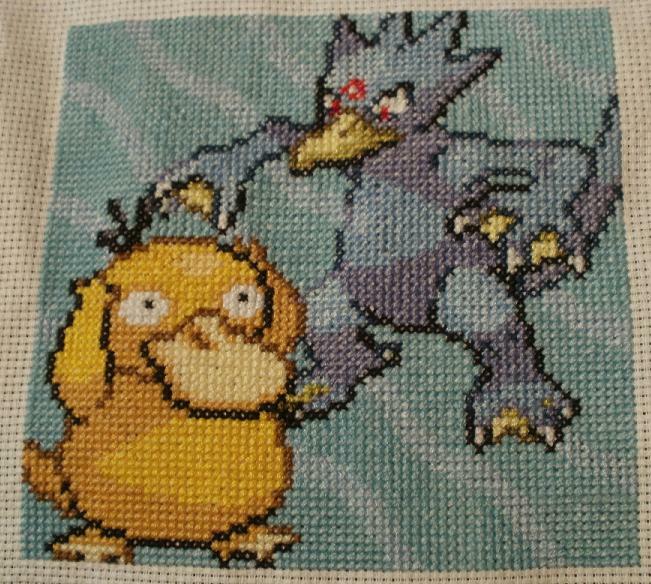 I also know that Anna Marie (amneufeld) has completed the Articuno/Zapdos/Moltres patch but she forgot to take a photo of it before she sent it off to Faewren! 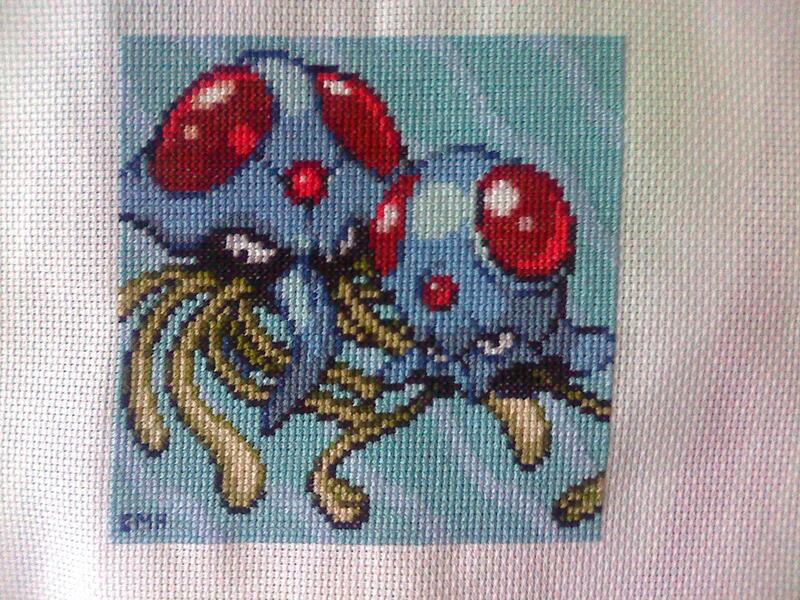 So, a picture of that will hopefully be coming soon. On another note, due to some people’s real life situations, we could not get all the patches done in the time we wanted to. 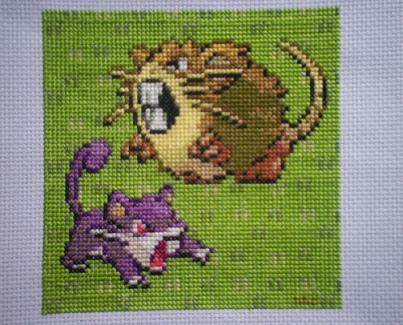 So, again, we are in need of stitchers who are willing to help! Email us at patchworkgym@hotmail.co.uk or join up at the Patchwork Gym Forums to find out more! 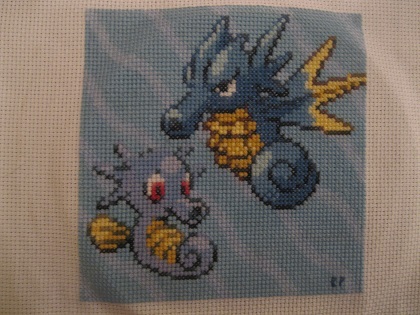 Here we have another patch by Brityboo – Horsea and Seadra! 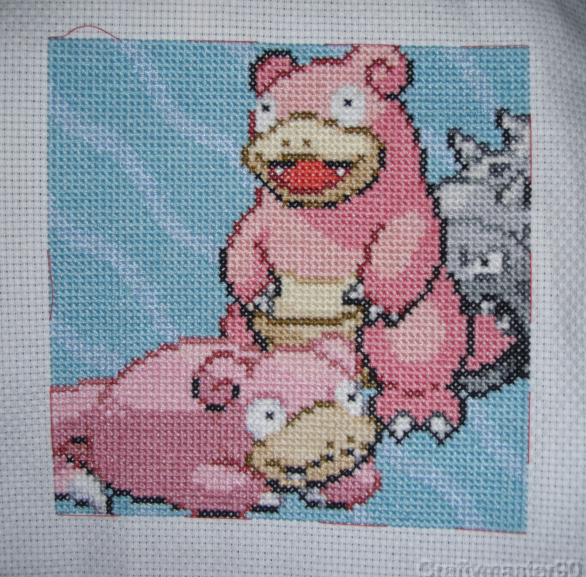 They are: Slowpoke/Slowbro by Craftymaster90, Shellder/Cloyster and Kabuto/Kabutops both by Holder of Anime. 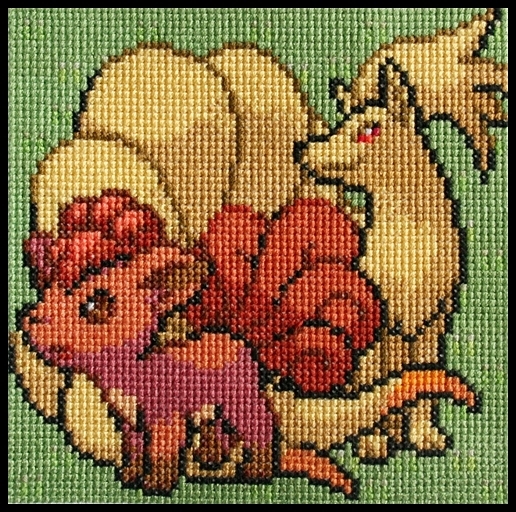 Holder of Anime has completed seven patches, and Craftymaster is now working on her seventh too! Latest complete patches from the awesome people at the Gym! 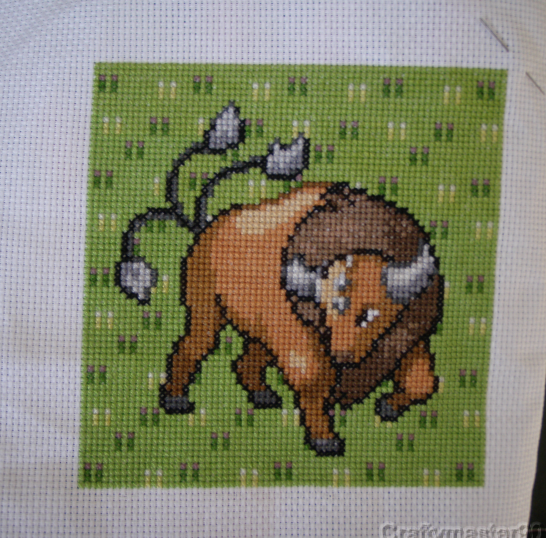 Tauros patch by Craftymaster90 and Jigglypuff/Wigglytuff by powergirl. 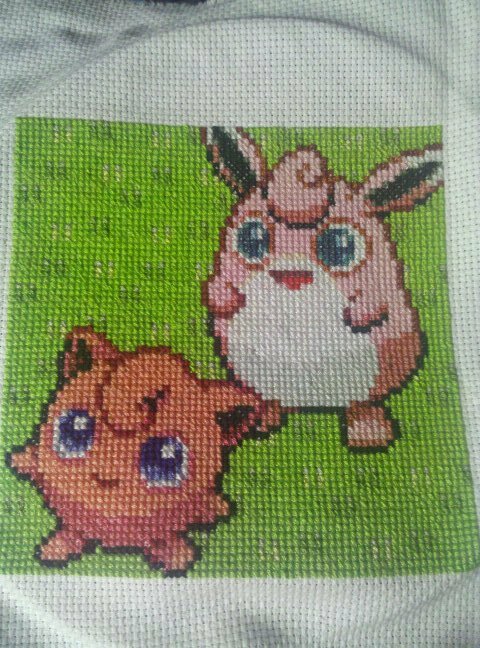 And only 41 more to go…! 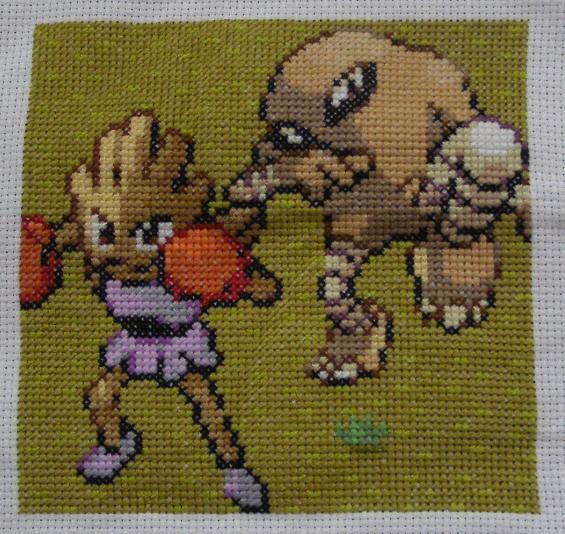 Here are the latest patches: Hitmonlee/Hitmonchan by EveningEmma, Vulpix/Ninetales by riotpatch and Tentacool/Tentacruel by blackmageheart (yeah, me again :P). 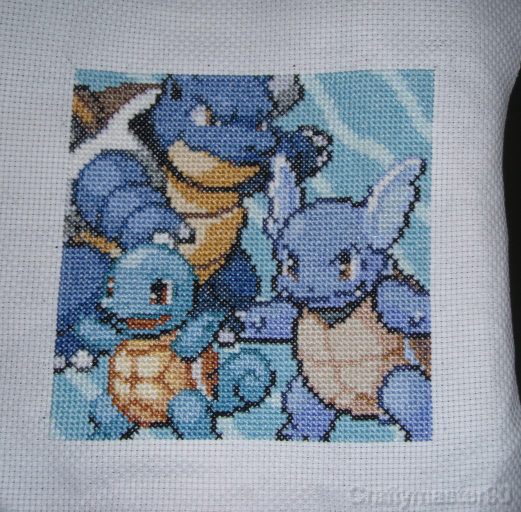 We are halfway through the stitching now with lots more to come, of course the blog will be updated as and when patches are completed. More patches coming very soon! 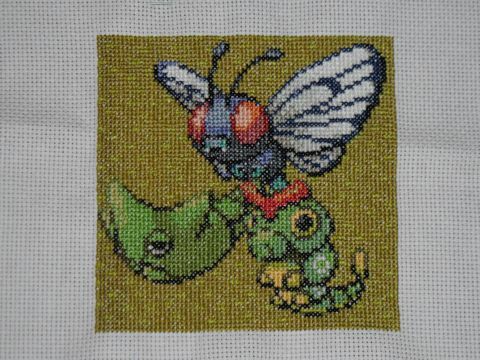 Latest patch to be completed is Caterpie/Metapod/Butterfree by kleinmeisje! Enter your email address to subscribe and receive updates by email! Email patchworkgym@hotmail.co.uk with any questions!